At the time of this artistï¿¿s rendition of the town, an Ev. Lutheran congregation had formed and had a house of worship. The location of that first place of worship was shown to one member by his father in years gone by. It would have been typical of the period for a church to be built by the congregation and to look much like a small wooden one room school house resting on a laid stone foundation. Any information about this building or place of worship would be appreciated. 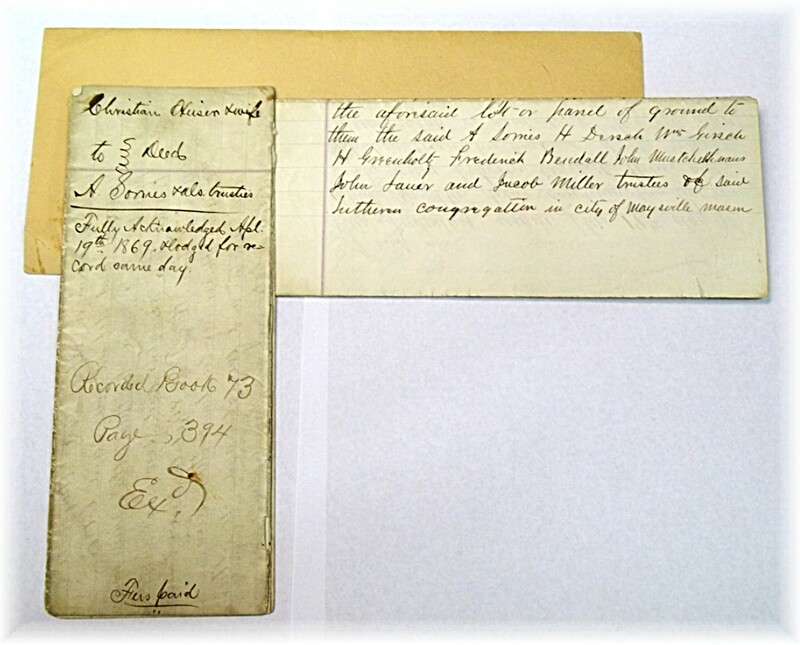 On April 19th, 1852 Margery Butehart, without the knowledge of her husband James, did for a sum of 240 dollars placed into her hand deeded a piece of their land to the trustees of the German Ev. Lutheran Protestant Church of Maysville. The purchasing trustees of the congregation were Jacob Stevens and Joseph Heisen. 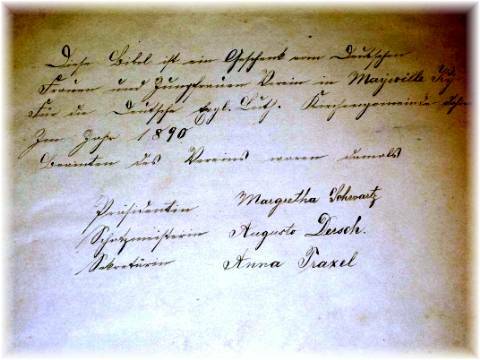 James Butehart and Margery did on May 13th sign the recording of the transaction before the Justice of Peace of Maysville. This lot was at the time outside the limits of Maysville on the north side of the Maysville-Bracken Turnpike. By 1864 Jacob Stevens and Joseph Heisen had died. At the outbreak of war between the North and the South, the Lutheran Church Missouri Synod separated into North and South. The Lutheran Seminary in St. Louis continued to hold classes. The only day that the Seminary canceled classes since itï¿¿s founding in 1839 was during the Civil War when the sound of the cannon fire became too close. 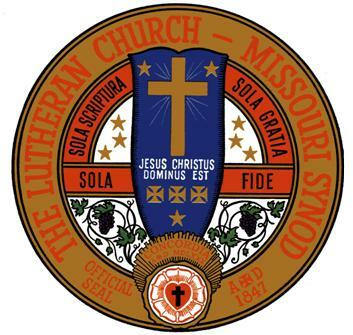 Following the Civil War the Lutheran Church Missouri Synod reunited. The influence of American Polity gave rise to congregational church polity among all Lutherans in the United States. 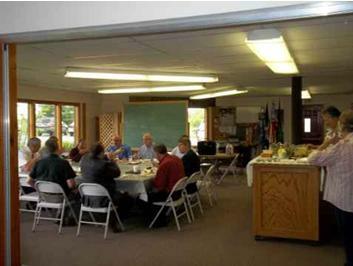 The congregation described itself as hard working and thrifty. A second lot was purchased for 300 Dollars and recorded on April 19th, 1869 from Elizabeth Heiser and Chistian Heiser by the German Ev. Protestants. This piece of property is the lot upon which the West-Second Street Church was built. The name of the church was confusing to some in the town of Maysville because they did not call themselves Lutheran. 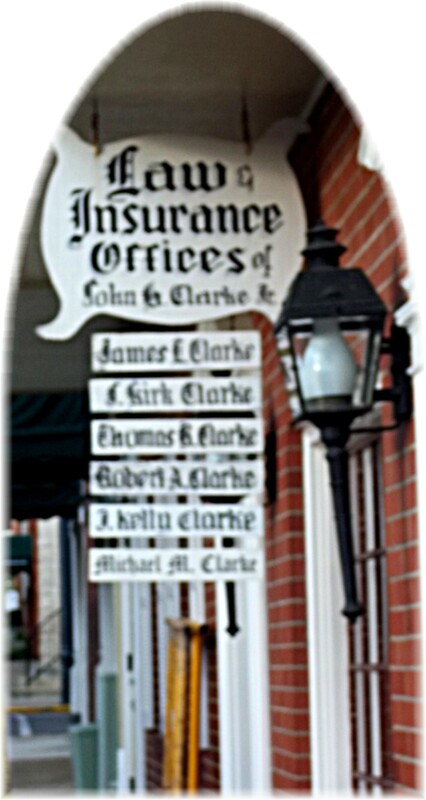 The first name indicated the language in which the service were held and the nationality. Being called a Lutheran was a slur, meaning to follow Luther. Luther was very opposed to his ï¿¿foul nameï¿¿ being applied to anyone. Lutherans called themselves ï¿¿Evangelical.ï¿¿ The word, ï¿¿Evangelicalï¿¿, indicates a focus on the Gospel of redemption through faith in work of the Savior Jesus Christ. ï¿¿Protestantï¿¿ indicated the congregationï¿¿s old world legal standing and right to gather as a church. The church building was finished in 1870 and was in the limits of Maysville. It was a tall building with a basement and beautiful heavy wood pews and furnishings. The tall windows had wooden shutters in two tiers which could be opened or closed to let in a pleasing amount of light depending on the time of day or weather. In the middle of the 1870ï¿¿s Pastor Andes came from Georgetown Ohio and preached at the German Evangelical Lutheran Church of Maysville and also helped form the German Evangelical Lutheran Church in Bracken County later called St. Paulï¿¿s. This sort of circuit preaching was common. Rev. 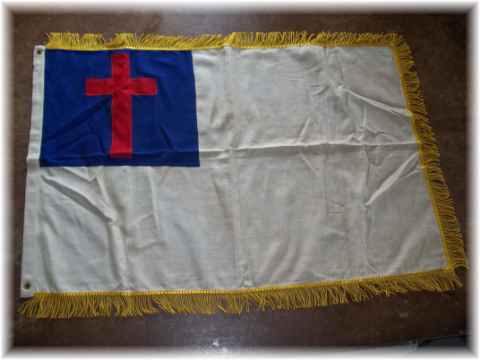 Andes would have been called a ï¿¿Circuit Rider.ï¿¿ Lutheran pastors at that time were in fairly short supply. At the urging of Rev. Andes, St. Paul called a resident Pastor. The relationship between the German Evangelical Protestants of Bracken and Mason County would resume 100 years later. In 1890 the Ladies fellowship of the congregation and the Young Ladies fellowship gave a handsome set of bibles to the congregation. One Bible was for the lectern and the other for the pulpit. The reason for preaching or reading to the left or right is to not take the focal point off the cross and the altar where the Lamb of God did take away the sins of the world. The inscription on the Bible reads as translatedï¿¿. 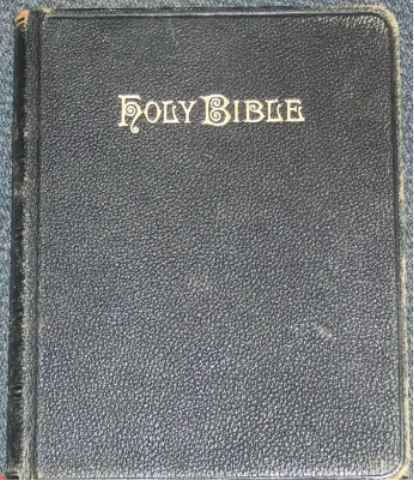 xxxxxThis Bible is a gift from the German women and the young womenï¿¿s group in Maysville Kentucky for the German Evangelical Lutheran congregation in the year 1890. Maysville has a street named Traxel after this family. 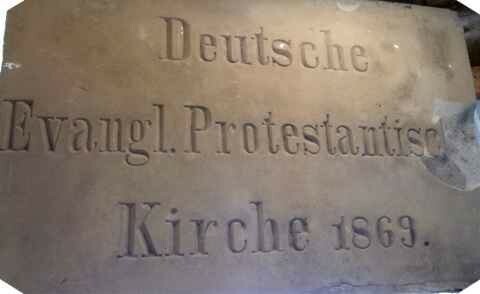 The above inscription indicated an intention to continue in the use of the German language and it should be noted that this was a common question before the Evangelical Lutherans of that day. Greek, Hebrew, and German were required languages for all men preparing for the Pastoral office at Concordia Lutheran Seminary in Missouri until the mid 1900ï¿¿s. Preaching from the Bible the Pastor (Shepherd) would teach and proclaim the Word of God to the flock balancing Law and Gospel. Such preaching sought to be Christ centered (Evangelical). 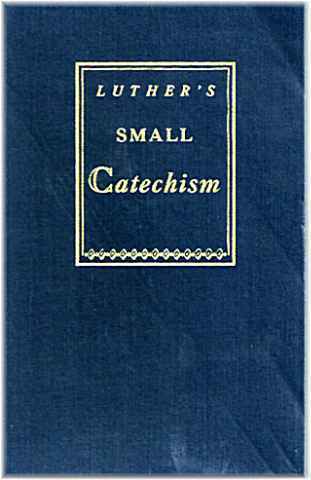 It was also common that Lutherï¿¿s Small Catechism might be lectured on. 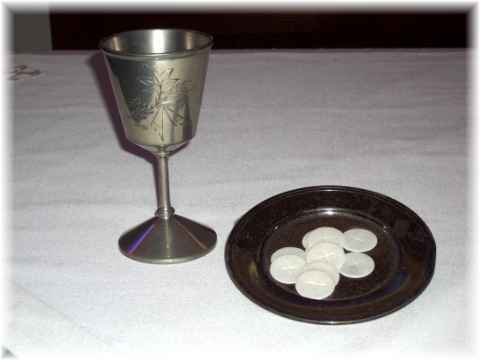 The Catechism contains Six Chief teachings of the Bible namely the Ten Commandments, the Apostleï¿¿s Creed, the Lordï¿¿s Prayer, Holy Communion, Holy Baptism and the Office of the Keys. 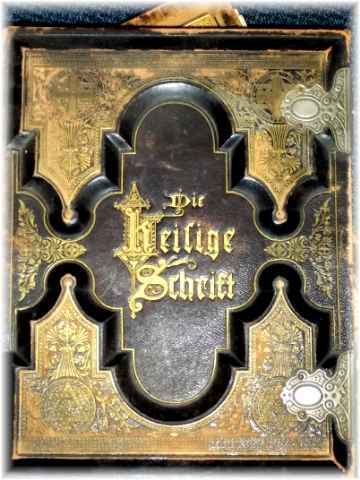 The Bible below is Lutherï¿¿s translation of the Bible from Hebrew and Greek into German. This was a huge change for the Germen people who before hand had only the Word read to them in Latin. Martin Luther reintroduced congregational participation in worship by having the congregation sing. 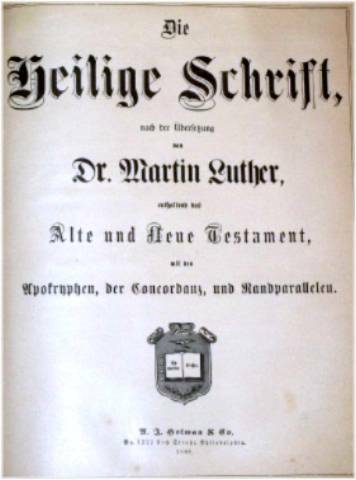 Martin Luther prepared the first congregational hymn book. The hymn book contained only 8 hymns, 6 of which he wrote himself. When the First World War broke out it curtailed German as the language for worship and services began to be largely in English for Lutherans in the United States. 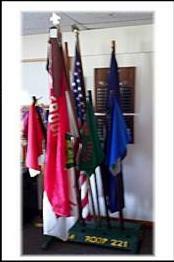 The use of English in worship was viewed as showing American patriotism; this would be later reinforced by the display of the American flag in the sanctuary. On March 10th, 1922 Henry C. Dieterich 3, George Schwartz and W. H. Dersch of The German Evangelical Protestants did granted use of their building to the City Mission of Maysville with the stipulation that it remain free for worship services as needed and with the provision that the City Mission pay for itï¿¿s maintenance and up keep. At this time the German Ev. Protestant Church(Lutherans) had a building but they did not have a Pastor. 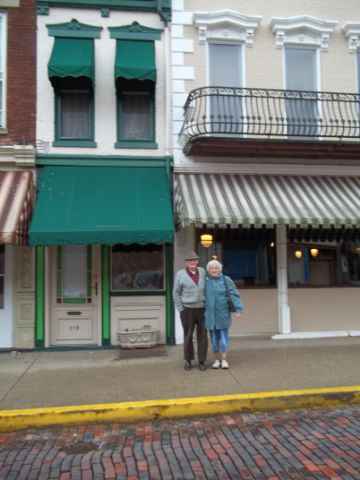 In the very same year, Herman Pawast and Ewald Pawsat of the Wald Manufacturing Company of Sheboygan, Wisconsin were drawn to Maysville because of the opportunities for manufacturing the town held. Their pastor notified Rev. Walter Littman of Madisonville, Indiana that they were in Maysville. Rev. Littman came out to meet them and held a service in Ewald Pawsatï¿¿s home on Forest Ave in 1924. At the first service there were 6 adults and 7 children which encouraged Rev. Littman to begin to hold a worship service with them once a month. As attendance increased, Rev. Littman held services twice a month. In 1929, when the Carnation plant opened in Maysville, there was an influx of Lutheran families to the extent that they needed to seek a new place of worship. Two Vicars(pastoral interns), were assigned to hold services with them, Gustav Akeschke, and A. P. Stark from the St. Louis Seminary in Missouri. At the first service there were 15 people in attendance but having weekly worship, the group grew. 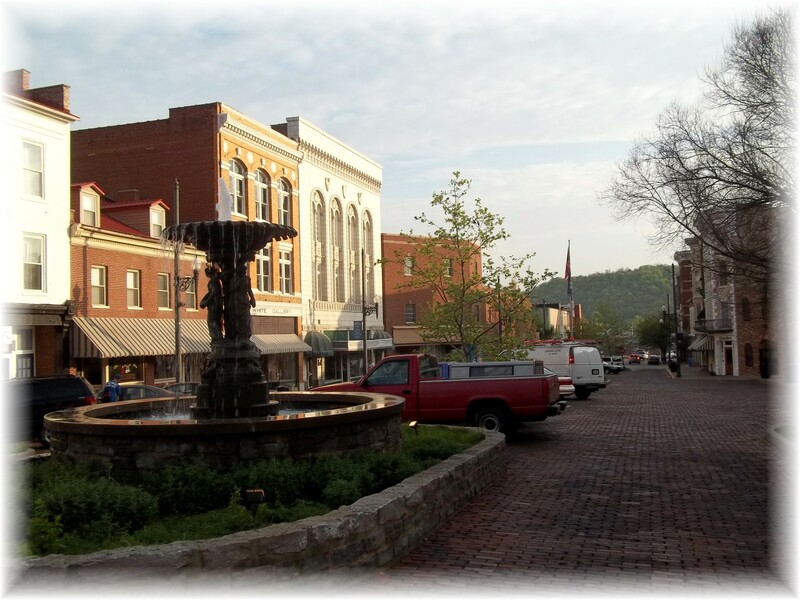 The congregation worshiped first at the Strand Theater and later secured the Mason County Womenï¿¿s Club building and began to hold weekly services that spring. By Fall, they had moved again and began to worship in the German Ev. Protestant Church building on Second Street. 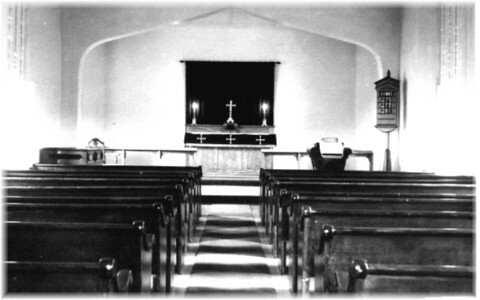 The Sanctuary was put in good order and the first worship service there was held on September 29, 1929. A Church Voterï¿¿s Assembly convened and elected Herman Pawsat, President; Francis Lindert, Vice President; E. F. Pawsat Trustee; Paul Hillman, Treasurer; and John Bratz, Secretary. Five members of the German Evangelical Church joined with them thus merging together. This congregation in it voterï¿¿s assembly became Trinity Ev. Lutheran Church on October 18th, 1929. 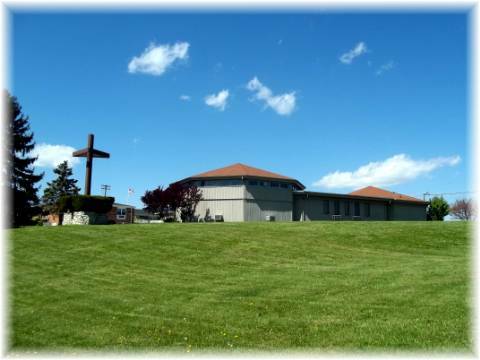 All services were held in English, and the Church was part of the Lutheran Church Missouri Synod. On Christmas Eve, the first Sunday School program was held with 30 adults and 22 children. The names of the members of the German Evangelical Church which had joined with the new Lutheranï¿¿s to form Trinity were Mr. and Mrs. Carl Walters, Mrs. Otto 1 born 1862, Mrs. Kalb born 1862 and Miss Carrie Zweigart 6 born 1856. Mrs. Kalb, above mentioned, was related to the Kalbï¿¿s which settled in Brooksville who are members at St. Paul Lutheran; there are currently 13 families with this last name in Mason County. At this time the nature and direction of the congregation was focused on Evangelism(sharing the Gospel with the ï¿¿unchurchedï¿¿ of any ethnic) and the use of the English language in worship of the Triune God(Father, Son and Holy Spirit). This is believed to be the original chalice and Patten belonging to Trinity Ev. Lutheran Church; the Patten may be from 1870ï¿¿s. The Chalice is still in use. Mrs. James Milton served as the first Church organist for Trinity Evangelical Lutheran Church playing for 18 years. In 1931 Rev. Gustav Akeschke was ordained and installed as the First called Pastor of Trinity Evangelical Lutheran Church of Maysville. 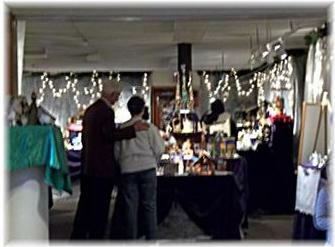 On the 17th of October in 1934, the Ladies Guild of Trinity Lutheran formed with the guidance of Pastor Akeschke. Young men preparing to enter the ministry at the Seminary in St. Louis where not permitted to marry. It was, however, a common ï¿¿miracleï¿¿ that from the time of graduation to arriving at the first call almost all men had married as seems the case with Rev. Akeschke. A young peopleï¿¿s society was organized in 1935. On April 23, 1937, the Public Ledger records that The City Mission of Maysville relinquished the usage of the German Evangelical Church building. The old German Ev. Protestant building, now 67 years old, took quite an unwanted soaking. The church basement and sanctuary were badly damaged and funds were sought to make repairs. For eight months, the congregation of Trinity Ev. Lutheran Church worked in the basement and upstairs to repair and remodel the church. 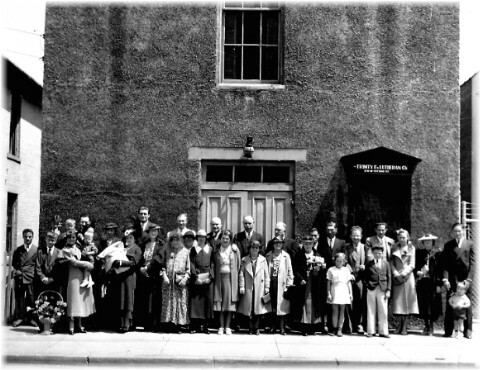 It was with joy and happiness that on October 9th and 19th 1938 that the church building was rededicated. There were 299 people in attendance at the dedication service. At the on set of the Second World War, Elmer Reinke, an LCMS Lutheran enlisted. A man from the Armed Services interviewed him among a group of others testing his ability to speak German. He thought little of this at the time, but was assigned immediately to be the interpreter for General George S. Patten at whose side he would continue until the end of the War. 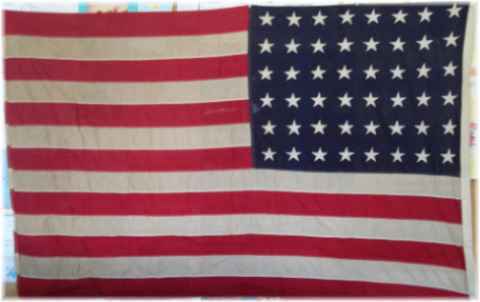 In 1944 through 1945 the Ladies of Trinity Lutheran Church joined along side of the ladies of other Maysville churches serving sandwiches and beverages to all the servicemen and women coming through the town on the 11:00 P.M. train. Between 1946 and 1952 the Ladies Guild adopted a family in Europe and sent boxes of food and clothing periodically. 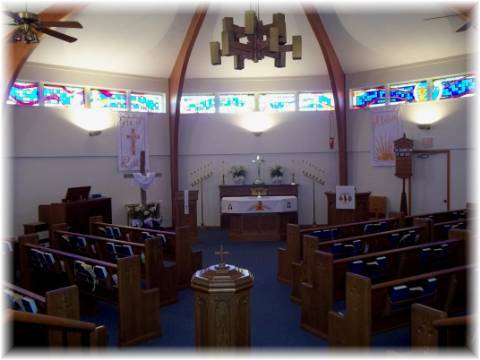 Trinity Lutheran Worship services began to be broadcast on WFTM in March of 1948. In 1953 a new parsonage was build in Deerfield Village on Bryant Circle and the parsonage on Forest Ave. was sold. Trinity continued to worship at the West Second Street Church building until March 21, 1966 at which time the building was 96 years old. The tall old German Evangelical Church had been constructed in the days before electricity and concerns over parking, it served the Lutherans of Mayville through the Great Depression, and the First World War, and endured the Great flood, and soldiered through the Second World War and the days of the Korean War. Itï¿¿s furnishings were saved, itï¿¿s new pews from 1952, and the old altar and wooden mantel and sacramental vessels were preserved and the building was sold to January and Wood. The Lutheran Church of Maysville, appreciated and retained its history, but it also yearned for new doors of mission and ministry to open. It retained its faith in the Lutheran Confessions and the Word of God, and its love of the Sacraments of the Lord but it looked to new missions. It leased property on the corner of Wood and Brooks Street for worship and was connected to college campus ministry at Morehead State. The women of the congregation were invited to participate in the voterï¿¿s assemblies starting on November 10th, 1968. In 1969, it purchased 2 ï¿¿ acres from the Parker Tobacco Co. for about the same price it had received from the sale of the Old German Ev. Protestant Church building in 1966. A new beginning, and a new chapter of Christian Faith and worship was about to take place. The Grace of God, the tenacity of the faithful Ev. Lutherans, and friendship with others lead to renewing its old relationship with St. Paul Ev. Lutheran Church of Chatham in 1971. What was hidden from the sight of most was the continual work and efforts of the Ev. 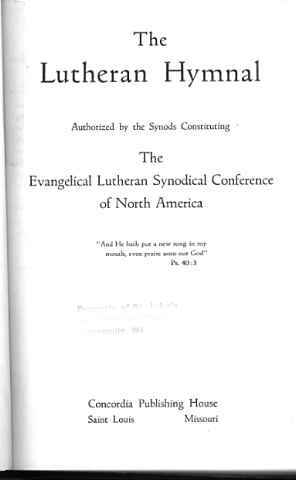 Lutheran Synods(walk together) which formed close altar and pulpit fellowship with others for the purpose of being faithfully united as witnesses to Jesus Christ as Savior and to be his bride the Church on earth. The campus ministry at Morehead was not begun by the Ev. Lutheranï¿¿s of Maysville, but by the Ev. Lutherans of Ashland. Being united in common Confession, the Lutheran Church of Bracken County and Maysville began to work together for the sake of the Kingdom and the calling of the Gospel. 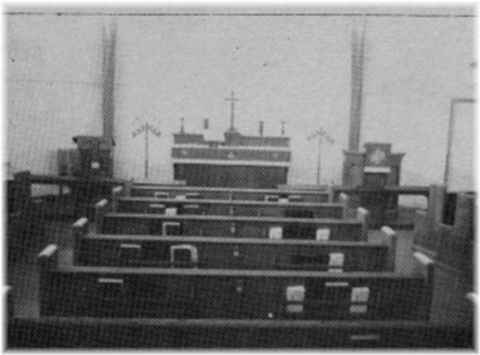 On May 22nd, 1973, a vote was taken by the church members to build a new place of worship. The new building was designed with the purpose of being modern as a contrast to the old building on Second Street. 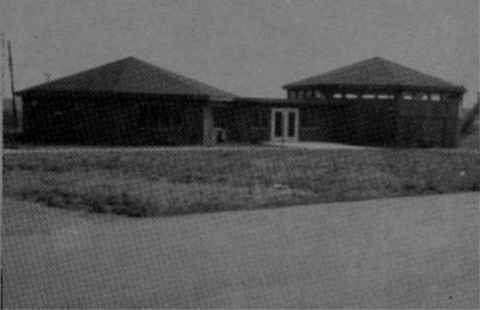 The new building was dedicated on September 26, 1975 with a renewed commitment to Evangelism. 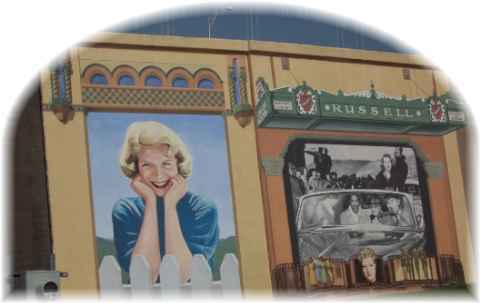 The following year, Ruth Pawsat was a delegate to the International L.W.M.L convention in Laramie Wyoming. The ladies of Trinity hosted the L.W.M.L. Cincinnati Zone in 1979. 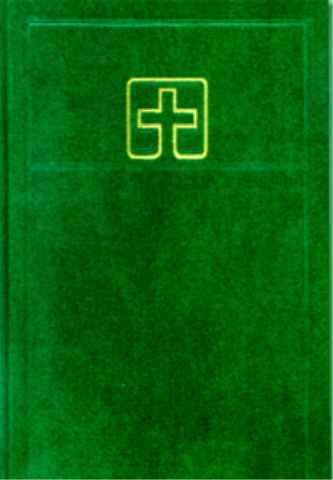 In this same year the congregation retired its TLH hymnals and began to use the new green Lutheran Worship Hymn books. 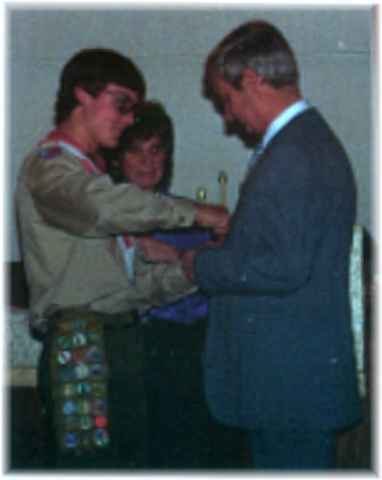 The Boy Scouts of America began to meet at Trinity in 1980. The Troop had start in Aberdeen OH but moved over here where it has grown. 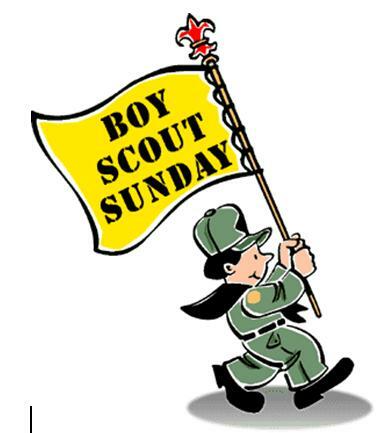 The Boy Scouts serve breakfast once a year for the congregation and are a great help in picking up the grounds. The ground breaking ceremony for the St. Paul Trinity Manor was held in 1989. Funding for the project came in the from the state but had to be used in cooperation with Trinity. 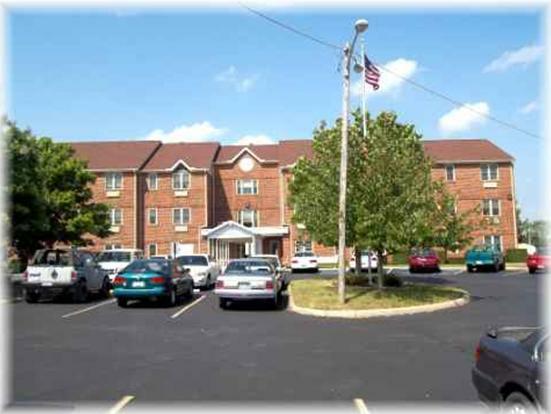 This beautiful retirement home provided housing for those with limited means, and has a veranda and outdoor gazebo. Trinity has held a bible study at the residence there since 1999. 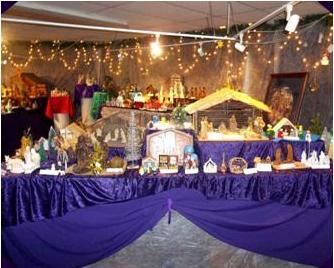 The Nativity Festival was first held in 2003 inviting the community to see Crï¿¿es from around the world. The work that is put into this event is remarkable. It all began with home decorations and some missing figures from a family heirloom. 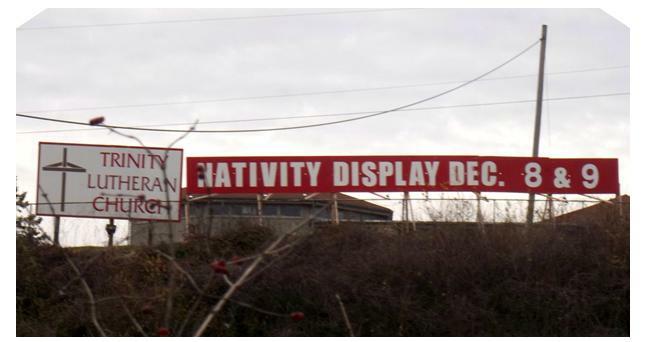 A search of the web for Crï¿¿es brought a site called the ï¿¿Friends of the Crï¿¿eï¿¿; this and a trip to Bronnerï¿¿s of Frankenmuth MI, stirred to life the idea of holding a Nativity Festival. People have come in by the bus load from Cincinnati, and traveled from West Union Ohio, and Lexington to take in the sight of about 300 crï¿¿es on display each year. The crï¿¿es and the themes change each year. It takes the whole congregation working together to put it together in honor of the Christ Child. 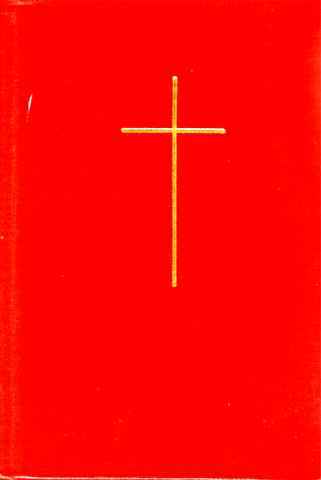 1985-1989 Rev. Ed Kropa A.L.C. The Town has been in a period of renovation for several years. One resolution was that no plywood be used to cover windows. The town which has been home to Ev. Lutherans for over 167 years is looking sharp. 1) H. Scheifeï¿¿s is believed to have presented the old German record book to the congregation of Trinity as part of a dedication or anniversary service. 2) The names of the congregation from the 1800ï¿¿s may be researched in the old Cemetery of Maysville and Obituaries may be in the local paper. 3) It is believed that in Georgetown, Ohio there was a Lutheran church that at times shared a Pastor with the Lutherans of Maysville in the 1800ï¿¿s. 4) The Maysville Court House Records have not been searched. 5) Records from the old Ohio Synod may yield information from the 1800ï¿¿s. 6) Names of the Congregation in the 1800ï¿¿s may be searched for at the Kentucky Gateway Museum Center on 215 Sutton Street in Maysville, KY 41056.